Ram Nath Kovind on Tuesday took oath and was sworn in as the 14th President of India. Kovind was sworn in by the Chief Justice JS Khehar at the Rashtrapati Bhawan. Following this, outgoing President Pranab Mukherjee and Kovind will have a one-on-one discussion on important files and policies before leaving for the Central hall. The stage was shared by President and President-elect, Speaker, Vice President and Chief Justice of India. After the oath, a 21-gun salute was honoured, followed by the acceptance speech of President-elect Kovind. Following which, the new president will proceed towards his new residence- 10, Rajaji Marg. 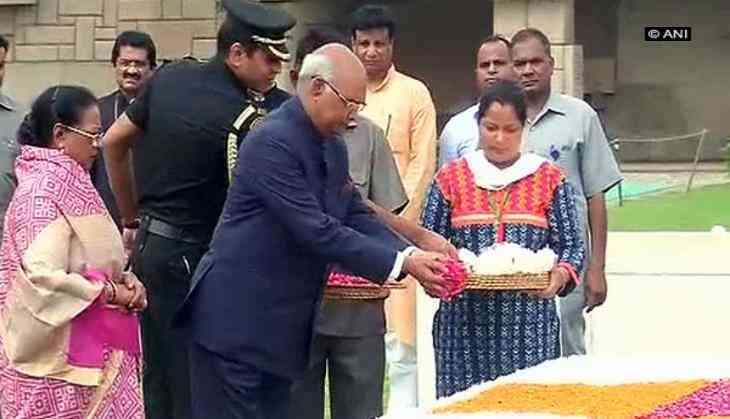 Kovind, a National Democratic Alliance (NDA) nominee won the presidential elections last Thursday by defeating Opposition candidate Meira Kumar. Kovind has been the Bharatiya Janata Party (BJP) Scheduled Caste Morcha chief (1998-2002) and the President of the All-India Koli Samaj. He has also served as the national spokesperson of the party. The saffron party had even tired to project him as an alternative to Mayawati in Uttar Pradesh.